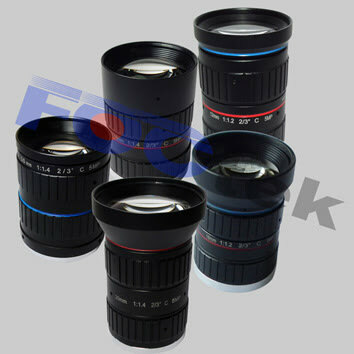 Photonics Buyers' Guide / Machine-Vision Lenses / FOCtek Photonics Inc.
FOCtek provides customers with all types of custom manufactured lenses, Precision Optical Components, Polarizing Optics, Prisms, Filters, Coatings, Optical Systems, Laser Crystals, Nonlinear Crystals, Optical Assemblies, Megapixel CCTV Lenses, 5MP Machine Vision Lenses, Fish-eye Lenses, Optical System Solution. Thousands of components are shipped weekly. Quality is first for FOCtek and always the key to our success. FOCtek has the most advanced metrology instruments, including ZYGO GPI Interferometers, 3D digital CMM, Trioptics OptoSpheric Lens measurement system, Trioptics Prism Master 0.5" Angle measurer, Lambda 950 Spectrophotometer, Trioptics Image Master MTF Measurer. With these advanced metrology instruments and impeccable quality assurance systems, FOCtek was ISO9001, ISO14001, and ISO/TS:16949 certified with SGS. With the concept of "Strict Management, Continuous Innovation, Continuous Improvement, Customer Satisfaction", FOCtek is committed to deliver customers with Quality Products, On-time Delivery, Competitive Pricing. 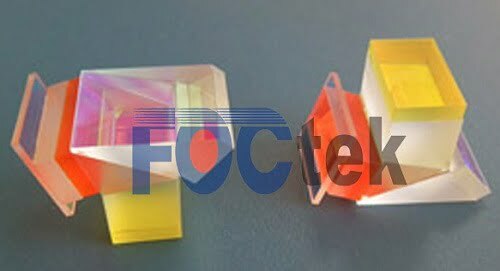 FOCtek focuses on producing high precision optical components; The goal at FOCtek is to be your first choice of partner supplier of optical components. INDUSTRIES SERVED BY FOCTEK PHOTONICS INC. 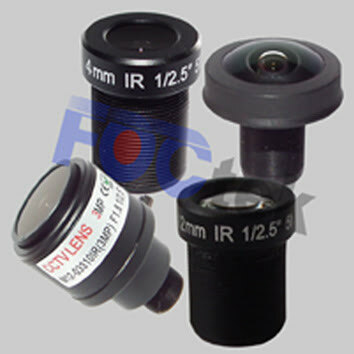 When you click "Send Request", we will send the contact details you supply to FOCtek Photonics Inc. so they may respond to your inquiry directly.